The University of Guyana (UG) yesterday launched its BSc degree in food science at an all-day symposium at the Turkeyen Campus. Acquiring a Degree in Food Science presents endless job opportunities, according to Head of the Department of Chemistry of the Faculty of Natural Science, Samantha Joseph. “This degree is so multifaceted, you can have employment within the food industry, you can have employment in academia, you can have employment in research institutions, you can have employment at institutions where you have the processing of raw materials, it is endless,” Joseph said, according the Department of Public Information (DPI). Gordon-Campbell called upon the various stakeholders to begin preparing their strategies to absorb and deploy the wealth of skills that will be unleashed in the next four years. 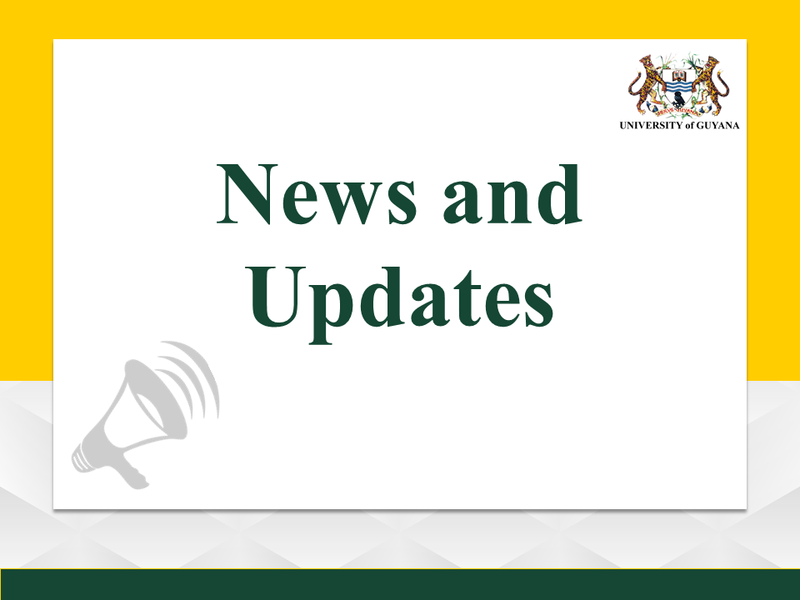 UG’s Vice-Chancellor (VC) Professor Ivelaw Griffith said the programme will address the issue of food security. “It is a challenge that universities also have to contend with and help on the instructional side. Courses that you might teach, not only degree programmes and we will be offering through the Institute of Food and Nutrition Security, short courses. Everybody does not need a whole degree, some people need a one-week course, on a particular aspect that is pertaining to your realm of engagement, some people may need a month or a two-month course, we will be looking at a range of offerings on the instructional side to enable us as university with enabling the society to contend with this problem” the Vice-Chancellor said, according to DPI. The BSc in Food Science is one of several new courses being offered by the University, to meet the demands of Guyana’s evolving economy. Some of the other programmes include an Associate and Master’s Degree in Petroleum Engineering, DPI said.